(Above) We climbed the hills west of Nome, and took this picture of Sledge Island. 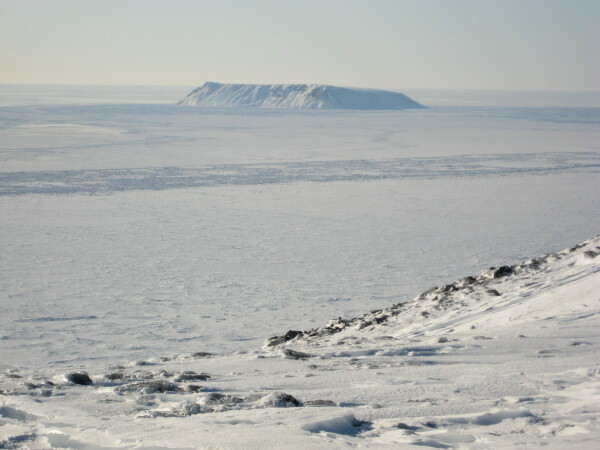 Note the edge of the cliff, the rock monolith to the right, and the apparently solid ice pack between the island and the mainland. That cliff is nearly vertical and 1,100 ft high! 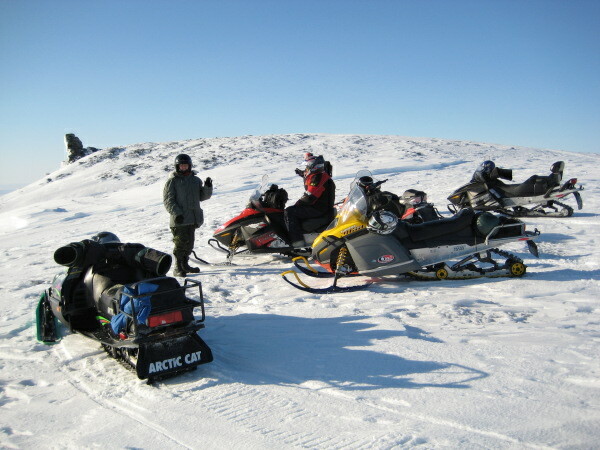 Location: Hills west of Nome. (Above) Here is the group! Tabitha waving, Kenny adjusting goggles (presumably the better to see Tabitha). Also on trip: Keith, Clinton, Lance and Ramon. The cliff is just to the left, and you can see the rock monolith. Beautiful day! 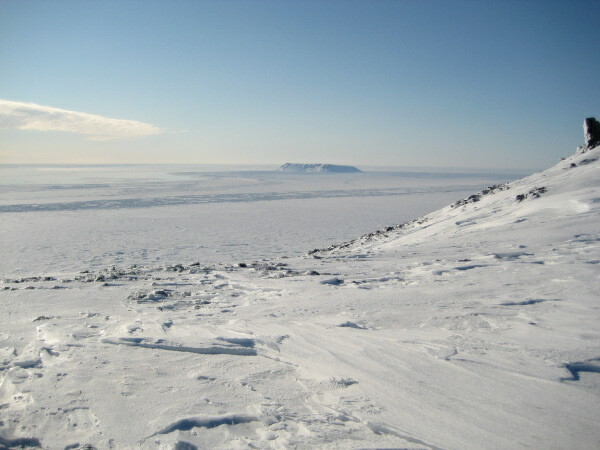 (Above) Another view of Sledge Island. Note the solid ice pack and the possibility of travelling there. It is only 5 miles offshore!